Basic Lawn Package (5000 square feet or less)$40 plus tax each. We feel at least 5 yearly application are required for a healthy lawn. Round one. Weed prevention and broadleaf weed killer. This allows the grass to grow without the competition from unwanted weeds. Round two. High quality balanced fertilizer to start the year after dormancy. Round three. High nitrogen fertilizer and grub control as needed. Also, spot treating existing weeds. Round four. 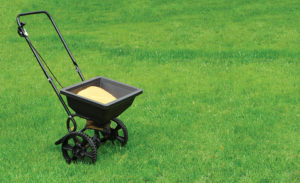 High-quality balanced fertilizer to help the grass remain lush and withstand the harsh summer heat. Round five. Fall weed prevention and broadleaf weed control going into the winter months. Fire ant control. Liquid areations. Bed management. Tree & shrub. Insecticides. Moisture manager and disease control.